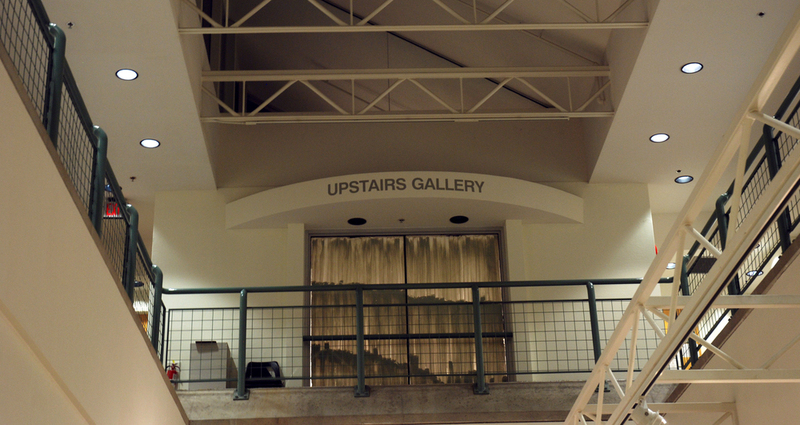 At the University of Victoria, the Upstairs Gallery was transformed into healing room. Outside, a sign-up sheet was made available for anyone to pick a time to receive a session. Prior to the treatment, participants read over a waiver. If they were satisfied with the terms, they received a 20 minute treatment where a plant spirit delivered a Hole-in-One (HIO), also called an alignment. As part of the agreement, participants created a line drawing in clay on the wall, as an exchange for the session. There were no restrictions to where they could draw, for example, they could go over or under other peoples lines. While the healing room was in use or vacant, audio recorded from a nearby spring, in an area of campus called Mystic Vale, played in the space. Following all the sessions, the main windows were washed to revealed the collective clay wall piece generated by the participants.